Utilizing non-invasive integrated digital imaging systems such as spectral imaging provides the scholar and researcher with a tool that can provide useful, hidden and unknown information about an artifact. When we look at a document, we do not usually see everything that is contained within the original material. The unaided eye often cannot detect features such as writing and inks that are erased, hidden by overwriting or varnish, or faded because of environmental factors; nor can it identify important provenance components such as colorants. These features on photographs, manuscripts, maps, and other materials are important for scholarly investigation, authentication, “fingerprinting” and the care of collections. Looking at documents at various magnification levels and in various types of light (raking, transmitted, reflected and different wavelengths) can capture these elusive features. The application of hyperspectral imaging to the preservation analysis and study of cultural heritage artifacts is a powerful, non-invasive, non-destructive technique to provide scholarly content information. Imaging with LED lighting, in sixteen spectral bands and raking light for preservation studies, provides a system with safe conservation lighting that is integrated with the camera to minimize light on the object. Hyperspectral imaging has been used to analyze numerous artifacts including the Waldseemüller 1507 world map, the L’Enfant plan of Washington D.C., the rough draft of the Declaration of Independence, and many other significant Library collection items. This course will examine the interactions and links between non-invasive analytical scientific techniques and the cultural, societal, and provenance information contained within original sources that is not apparent without undertaking such document archeology. Course activities will include lectures and hands-on examination of historic materials, expanding into working with non-invasive techniques and data processing to understand better the tools available to enhance knowledge and deepen research techniques on these artifacts. Students will be introduced to the concepts and processes of preservation science and the range of types of analyses that can be undertaken to assess and discover a depth of unknown information hidden within the original source material. Course participants are required to bring a laptop and a desire to expand their current knowledge past what can be seen with the visible eye. No previous knowledge of preservation imaging is required, although some familiarity with image processing software would be a benefit. Fenella France teaches this course. 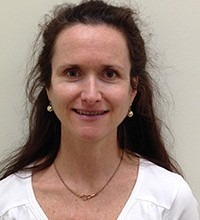 Fenella France is Chief of the Preservation Research and Testing Division at the Library of Congress, and is responsible for researching non-destructive imaging techniques and prevention of collection environmental degradation. She received her Ph.D. from Otago University, New Zealand. After lecturing at Otago, she was the research scientist for the Star-Spangled Banner project at the Smithsonian Institution. An international specialist on the aging of cultural materials, she focuses on links between mechanical properties and chemical changes from environmental damages and treatment protocols. She has worked on projects relating to World Trade Center artifacts, Pre-Columbian mummies and textiles, and the Ellis Island Treasures Gallery rehabilitation. She serves on several professional committees for cultural heritage preservation.